You can take it from Willy Loman, or directly from us: the days of the traditional door-to-door salesman are more or less over. No, you don’t see many grown men toting suitcases and trunks full of knick-knacks or life insurance portfolios through the neighborhood anymore. But luckily (or un-luckily for those poor obsolete salesmen) new innovation in door-to-door marketing has stepped in to take these old warhorses’ places. There are now ways of reaching every home in the neighborhood like the old door-to-door marketing men did – except now it doesn’t matter whether the mister and missus are home or whether they care to open the door to a kindly stranger. Because now these marketing goals can be achieved with direct marketing campaigns, also known as Every Door Direct Marketing (EDDM) campaigns. With the combined powers of this tool from the U.S. 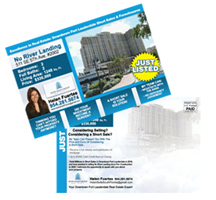 Postal Service and a knowledgeable printer who is able to supply you with the necessary collaterals and design help to maximize the service, you can have a successful direct marketing campaign up and running for a huge return on your tiny investment. 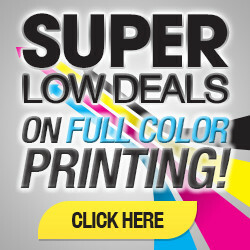 All you have to do is find an online printer that offers turnkey EDDM service. Such printers will actually help you from the design phase of your marketing materials (whether that be flyers, brochures, actual letters, postcards, or a host of other sizes and formats), to the mailing phase (you can choose to saturate an entire zip code or just certain neighborhoods or blocks) of your specially designed materials. All you need to know is what information you would like to present to your potential customers and approximately where your target audience lives. And with this new door-to-door service, one of the greatest benefits is that you can consciously appeal to populations that are currently just outside the reach of your business. This door-to-door marketing technique can help you pull in new clients and make you more money. 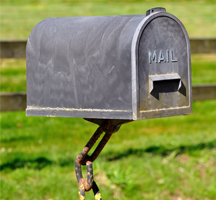 So is Old-School Door-to-Door Marketing Dead? There are still a few people who can get away with actually selling things door-to-door. Those people, specifically, are children who are in clubs or on sports teams in the community who are assigned the task of fundraising for those activities. If you’re an adult in charge of one of these community fundraising efforts, door-to-door marketing materials are also best obtained from a reputable printer. We recently heard about a very successful fundraising campaign in which a local middle school sent kids – accompanied by parents, of course – door-to-door with custom-printed order forms whereby residents of the (very small) community could pre-order pies that the students would bake in time for the holidays. The proceeds would go to fund a class trip. The campaign was well received, we believe, because of the personalized nature of the product for sale, the good timing, and the clear and enticing order forms (they were printed with mouth-watering pictures of holiday pies) that the teacher in charge had printed for the students. The students also gained some good life experience in actually being responsible for the product sold in the fundraiser (they were supervised during the baking, but still did the work). All in all, it was an excellent example of charitable door-to-door marketing using printed materials, and everyone came out a winner. 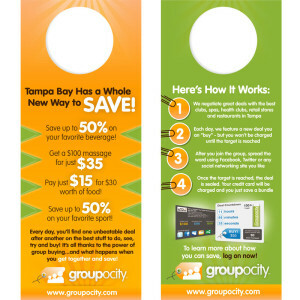 For business purposes, there is one other way door-to-door marketing can still be exercised: doorknob hangers. The name sounds kind of funny, but the actual product is highly effective. 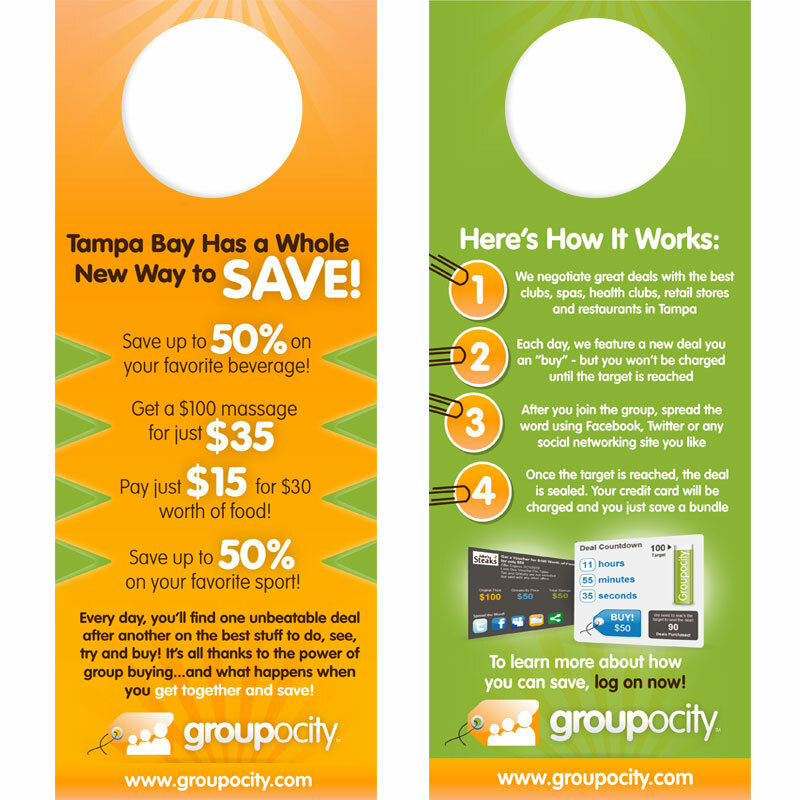 Businesses print their ads, often with special offers, on rectangular doorknob hangers (like the “do not disturb” signs you find in hotels), and then they distribute these ads on doorknobs throughout the neighborhood. When residents come home, they cannot help but see the marketing message in bold and full colors, and they will therefore be more likely to act on it than they would if the message were presented in an email, which takes a fraction of a second to dispose of, if it even reaches the inbox at all (thank you, spam filters!). There are several different takes on modern door-to-door marketing techniques. If you’re not sure which best suits your initiative, you would do well to call a trusted printer with strong customer service to get advice on which fits your needs.